While developing his newest Couture collection, including the works featured here, Adam drew inspiration from the life and work of designer Erté. The life of designer Erté is a tale of creativity and experimentation that spans nearly a century. Erté was born Romain de Tirtoff in 1892 to a wealthy and influential Russian family. As a young man, Tirtoff dismissed expectations that, like his admiral father, he embark on a naval career. Instead he moved to Paris to pursue a career in design. Out of respect for his family, he took on a pseudonym, Erté, derived from the French pronunciation of his initials: RT. After working for French fashion designer Paul Poiret, Erté began illustration work for Harpers Bazaar in 1915. His style was hugely successful and over the next two decades Erté designs would grace the covers of major magazines more than 200 times. This was just the beginning. In the 1920’s, Erté proved his artistic palette as diverse as it was prolific. Already a success in print media, Erté brought his art to life through fashion and stage design. In the great performance venues of France, England, and the United States, Erté enchanted audiences with glamorous costuming and sets. He further branched out into lithography, sculpture, and wearable art over the years. Friends and admirers noted Ertés vivacious spirit in all aspects of his life. Perhaps best remembered are Ertés fashion illustrations: elegant hourglass-waisted figures adorned with daring ensembles that embody Art Deco. In this years Couture collection, Adam pays homage to Erté’s iconic style. 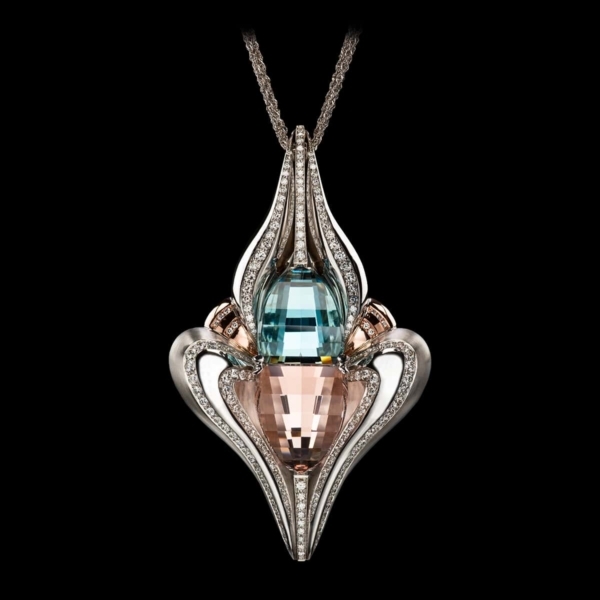 In his pendant “Erté”, Adam designed with symmetry and structure in mind. These qualities are also typical of his namesakes creations. 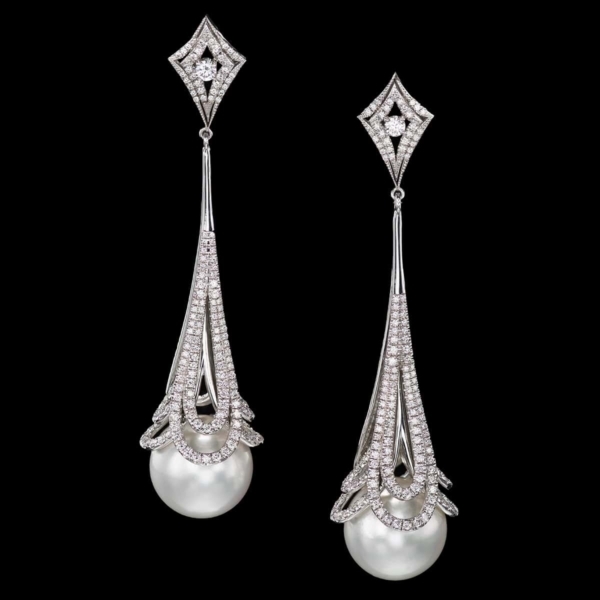 Adam’s “Pearl Lace Earrings” embody the curvaceous lines of Erté’s beautiful and graceful sculptures. 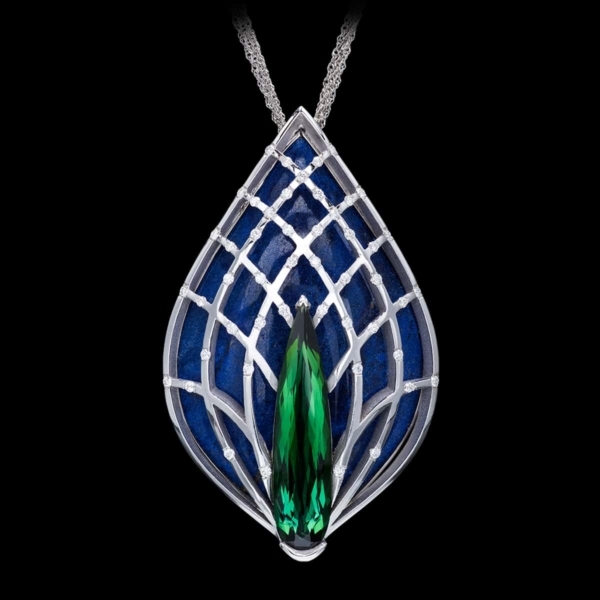 The “Aqua Morgana Pendant” draws inspiration from Erté’s distinctive and fanciful use of shape, line, and color. Explore these creations and more on our Couture page.